Currently more than 300 young scientists from approximately 40 countries around the world are conducting their doctoral research at the UFZ. If you wish to focus on interdisciplinary environmental research, work with excellent technical equipment and be supervised by internationally well connected scientists, the UFZ is the right place to be. 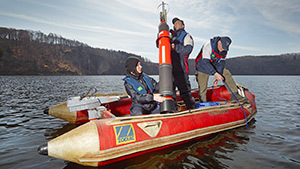 Our graduate school HIGRADE (Helmholtz Interdisciplinary GRADuate School for Environmental Research) provides the framework for qualifying new generations of internationally competitive doctoral researchers in the field of environmental science. By offering a wide range of excellent training and networking opportunities our graduate school allows doctoral researchers to acquire valuable skills and prepares for careers both within and outside academia. 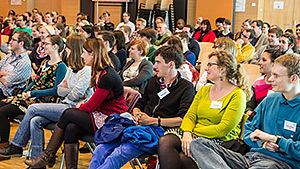 The UFZ is a competence centre for environmental sciences, where a wide variety of natural and social sciences as well as engineering disciplines work together on complex human-environment interactions. This involves crossing disciplinary borders and incorporating stakeholders from industry, politics and society. The UFZ is a research centre with an international, collegial and family friendly atmosphere. While our International Office and our Family Support Office provide support specifically for international employees and parents. 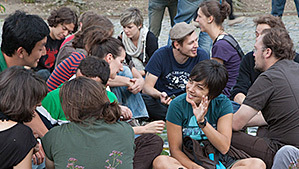 A diverse set of scientific and social events and recreation offers complete the UFZ culture and allow new staff members to familiarize with the institute. 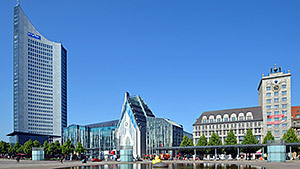 The UFZ main base is located in Leipzig, a city with over half a million inhabitants which is popular for its large green areas and high quality of life. 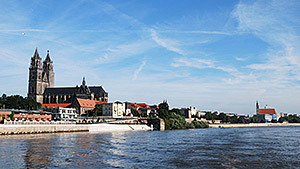 Two further UFZ locations are Halle (Saale) and Magdeburg, both slightly smaller, but nevertheless exciting cities. 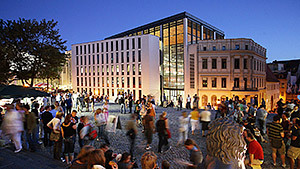 All three cities offer a rich cultural life and history, universities, as well as convenient public transport systems.